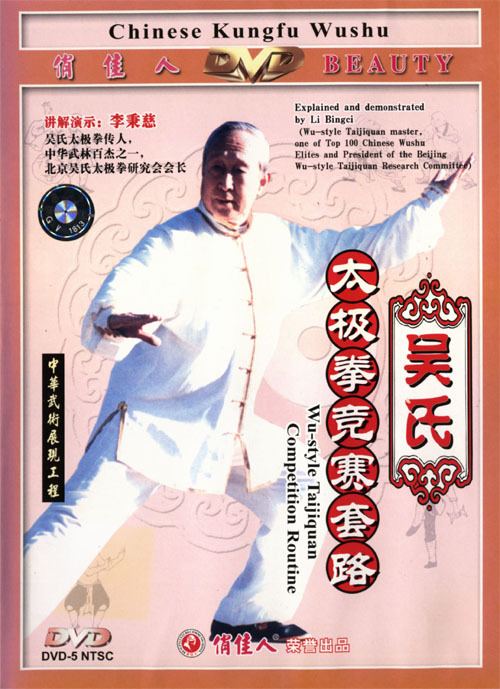 Wu Style Tai Chi Chuan DVDs and Books. The best prices and biggest selection guaranteed! The Wu-style Taijiquan has 85 forms totally. Its forms are dapper and compact. The methods such as the "ward off", "stroke", "push", "press", "pull down", "bend backward", "elbow stroke" and "body lean" are used in each form with attack contained inside. The advance, retreat, fixing, look and stop come into being with forms. Postures are tight and elegant; mind and spirit are in peace and comfort. For its features and style of hardness combined with softness, open with close and emptiness with solidness, every form of Wu-style Taijiquan is an excellent example for explaining the fist theories and techniques. It is easy to learn and can prolong your life. 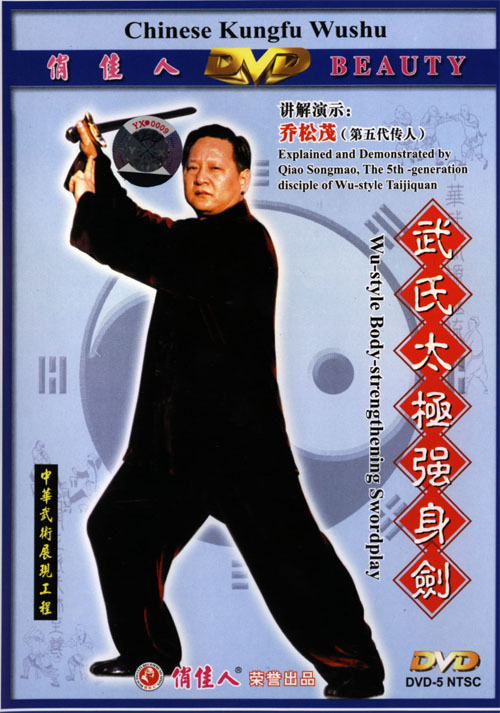 The Simplified Wu-style Tai-chi Sword is adapted from traditional Wu-style Tai-chi Swordsmanship. Its simplified routines cater to the majority of people pursuing practicing Wushu. The simplified routines require clear-cut and accurate swordsmanship; free, light and deep footwork; flexible and free movement of body. In short, the practitioner must keep his hands, eyes, body and feet in excellent coordination before he can learn the essence of Tai-chi Swordsmanship of Sword and Its Owner Be One. Click picture for more info. Wu-style body-strengthening sword totals 25 forms. 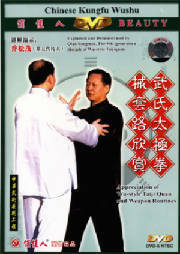 It was compiled by the Wu-style Taijiquan masters on the basis of Wu-style Taijiquan and Wu-style Taiji outline. It combines the techniques of broadsword and those of sword. The basic hand form is sword-fingers. It requires the sword to go with people and integrate with body. After Wu-style Taiji Quan forms and the hitting hands are mastered and on the basis of Wu-style boxing outline, it makes us to exercise Wu-style Taiji swordplay better. Click picture for more info. The Traditional Taiji Broadsword is called "13 Taiji Broadsword", because the movements of Taiji broadsword routine have only 13 pithy formulas, different from the boxing and sword in that their movements have their own names. 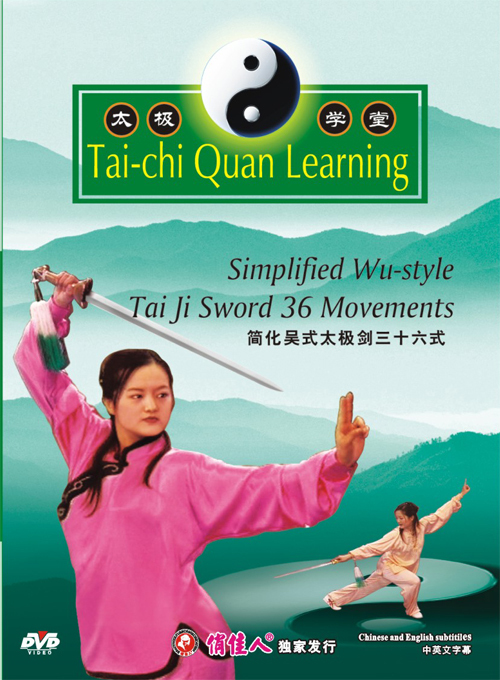 Taiji Broadsword is one kind short weapon of the Wu-style Taijiquan series, so its style and characteristic should be used the requirement of body work and footwork as the standard. The movements of Taiji Broadsword are continuous, clear and smooth. During practice, you should emphasize the hardness with softness hiding in; the hands and broadsword should be coordinated well. lick link below for more info. Wu-style Taiji Broadsword is one kind short weapon of the Wu-style Taijiquan seres,its techniques include cut,hack,chop,intercept,raise,uppercut,thrust,slice,draw,block and sweep and soon.The movements of Taiji Broadsword are continuous,clear and smooth.The routine shows the double features of hardness and toughness with softness and looseness dwelling in.It has only 13 pithy formulas in the broadsword tree,in fact,it can be divided into thirty-eight movements, the time duration is two to three minutes. Taiji sword is one kind short weapon of Taijiquan series. It belongs to the category of soft-body weapon. 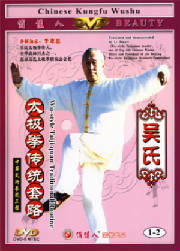 It contains the elements of the techniques of wushu, and it has the features of the Taijiquan such as gentleness, continuity and mind leading the sword. Traditional Wu-style Taiji Swordplay is rich in movements, exquisite in skills, graceful, natural and smooth in performance. It's the most difficult one in Taiji swordplay series. When practicing, the body and sword should be acted as one, the techniques of sword should be clear and distinct, and their changes should be in harmony. Your internal energy and external movements should be well coordinated.